If you’ve ever been in a job interview, you know the importance of creating a good first impression. Everything you say, the way you dress, your manners, even diction and elocution are noticed. 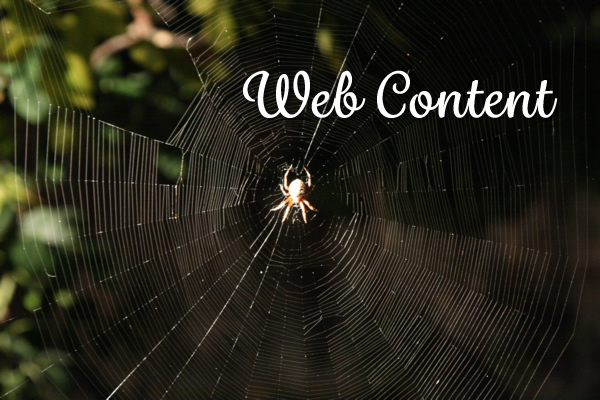 When it comes to a website, your content is a key part of that first impression with clients. It gives visitors a taste of your business’s personality and really communicates who you are. First and foremost, make sure your content is easy for your target audience to read. Note that I specified for your target audience to read. Is your website designed for high-end homeowners? Your content should be professional and sophisticated, but it should still be in layman’s terms. Do not use construction jargon that would leave a homeowner confused. Is your site targeted toward teenagers? Do not use adult vocabulary; add a fun flavor that would be interesting for someone in high school to read. Is your site designed for medical practitioners? Then by all means, use medical terms with a flourish. Enhance your content with photographs and video footage. This has become more and more expected in today’s visual world. Potential clients want to see products, interviews and how-to videos. Make sure you provide just enough text to balance the visual, and make sure your written content aligns with your pictures and videos. It is important to be continually updating your content and removing outdated information in a timely fashion. You will not be much of an authority on your subject if your facts are no longer pertinent. Write what you know. If you are writing about a subject that is new to you, make sure you do enough research to be able to present your topic professionally. It is a good idea to have it checked by a professional, as well. Provide content that can be printed, downloaded as a PDF and is also available online. This goes back to the importance of making your site user-friendly. Of course, make sure you use keywords and properly tag your pages for search engine optimization. Proofread, proofread, proofread. There is nothing worse than a website that is full of misspellings and grammar errors. It presents the image that you are either illiterate or simply don’t care. You would not mumble at that first job interview, would you? Written communication is still communication, and if it is littered with typos it will make you look unprofessional. In addition to proofreading for typographical errors, re-read your content from the point of view of your audience to ensure that it delivers the exact communication you want. Does it help people understand your topic? Does it demonstrate a unique angle and your expertise? Does it make people want to come back and read it again? If you are selling something, does it lead people to buy something on the site?